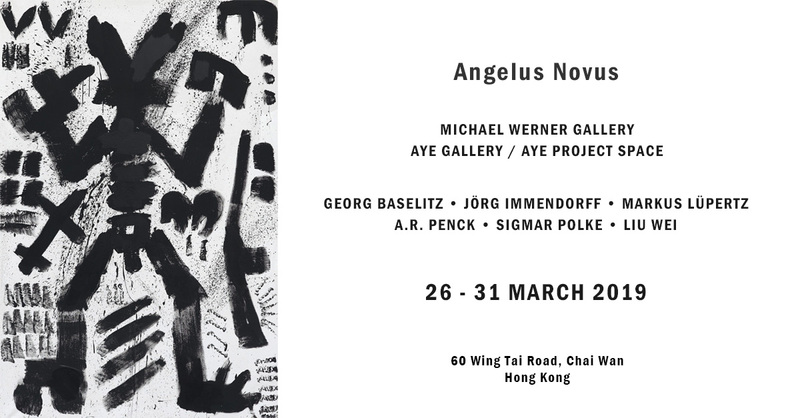 AYE Gallery and Michael Werner Gallery present “Angelus Novus” to inaugurate AYE Gallery’s new project space in Hong Kong, from Mar 26 to 31 concurrently with Art Basel Hong Kong. AYE Gallery was founded in Beijing in 2005 and has participated in Art Basel Hong Kong and its predecessor for almost a decade. 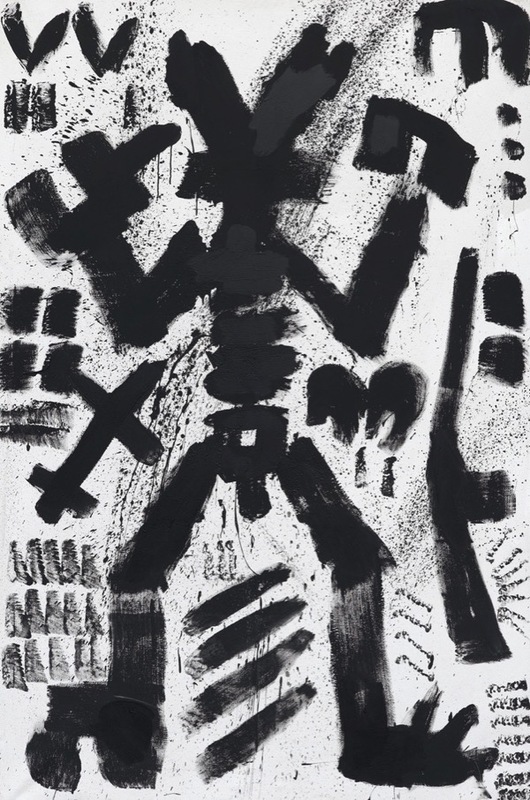 “Angelus Novus” presents works by Chinese and western contemporary artists, including works of German Neo-expressionist masters, Georg Baselitz (b.1938), A. R. Penck (1939-2017), Markus Lüpertz (b.1941), Jörg Immendorff（1945-2007), and Sigmar Polke (1941-2010), along with works by Liu Wei (b.1965), one of the leaders of Chinese Cynical Realism, with his latest work, ‘Lan Ting Xu’. 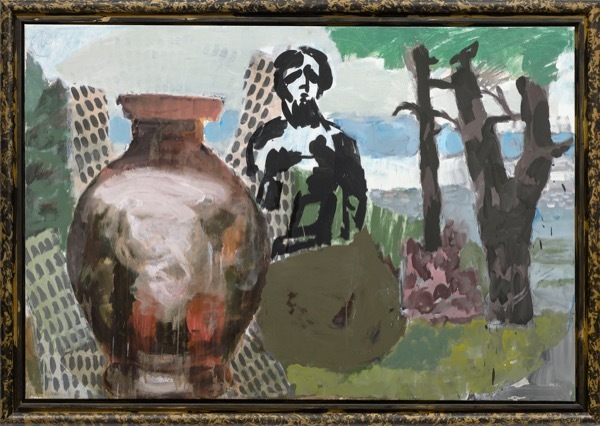 Warmth, passion, dismay and serenity can all be traced in this selection spanning 50 years: Georg Baselitz’s unrefined, figurative depiction of ‘Ein Jäger’ (A Hunter)(1968); A. R. Penck’s expressionistic response in ‘Standart-West K’ (1982) after relocating to West Germany in 1980; Jörg Immendorff’s enthusiastic brushwork seen in‘The Saints/Leda und die Schwäne’ (The Saints/Leda and the Swan) (1984), where a charred female figure is surrounded by a convocation of haloed, supposedly innocent eagles; Markus Lüpertz’s daemonic figures in ‘Geburt des Centaur’ (Birth of the Centaur)(2017) inspired from ancient Greek mythologies; and Liu Wei’s daily transcription of Lan Ting Xu (2018), reaching for Vipassanā – insight into the true nature of reality. 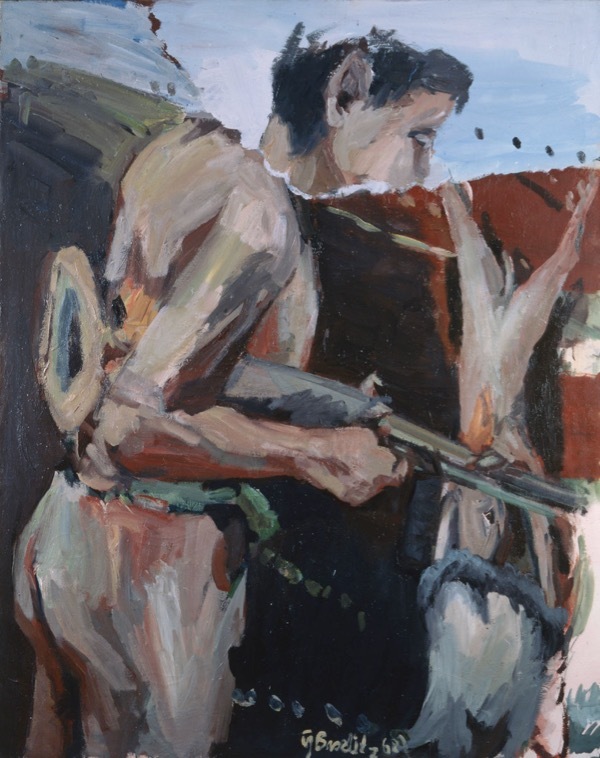 Amid the storm of history, these artists strived to identify and describe the truth and facts they feel, inspiring us to empathize and ponder. 2019 marks the 30th anniversary of the fall of the Berlin Wall. The show not only commemorates this historical event, but also contemplates the looming fate of mankind: Beneath the firmament, caught up in historic turmoil, what is mankind stepping into at the crossroads of globalization and nation-states? 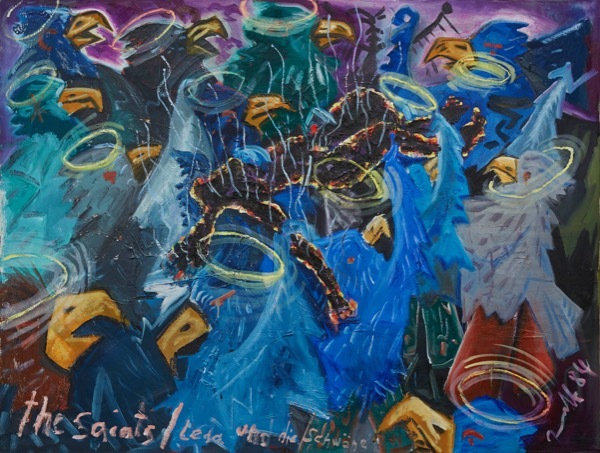 Artists, susceptible as they are, are just like Angelus Novus, wings open, unkempt, witnessing the ruptures and wreckage being created by mankind in pursuit of progress and prosperity. 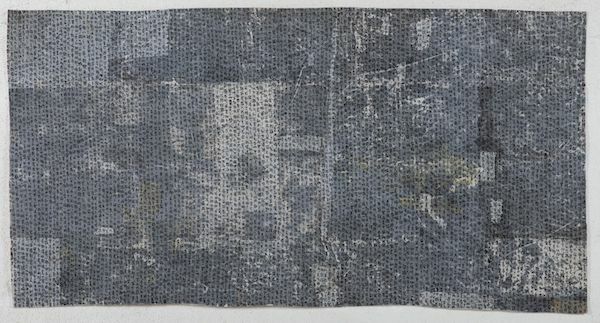 Their lament for the secular are weaved into artworks with rage, grief, introspection and expectation. The Chinese title of this exhibition, “Underneath the Firmament”, not only pays homage to the generation “under the Berlin sky” with shared memories and sentiment, but also invites the audience to examine our common present and past -Underneath the firmament, lies our history and our mission. 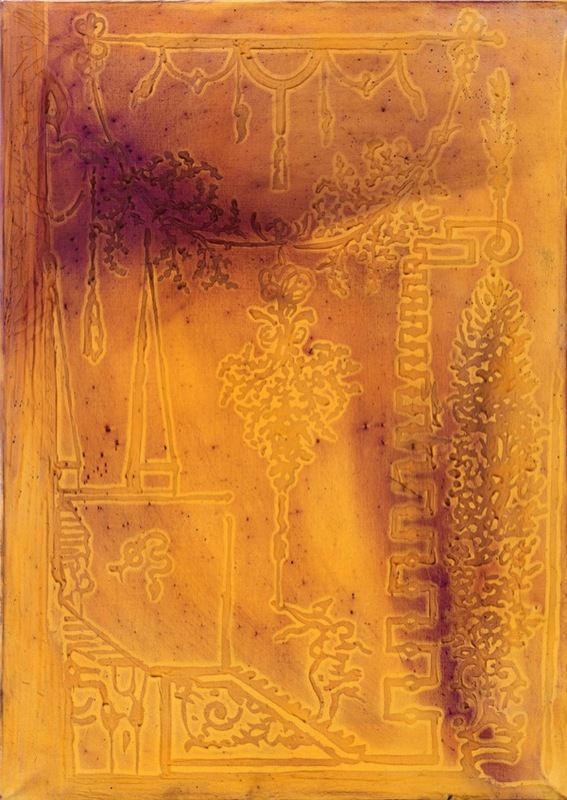 Curator, Dr. SHEN Qilan will provide guided tours on March 28 and 29. Dr. Shen Qilan is a writer, curator and art critic, who has published widely in Germany and China as well as regularly appearing in cultural programs for Chinese television. Shen obtained her PhD from the University of Münster, Germany. From 2010-2011 Shen was Editorial Director of Art World magazine. A shuttle bus will operate between Chai Wan and Art Basel Hong Kong at the Hong Kong Convention center.